A Study Finds Curiosity Is A Complex Feeling, Affected By Time : 13.7: Cosmos And Culture Not all feelings of curiosity are the same. 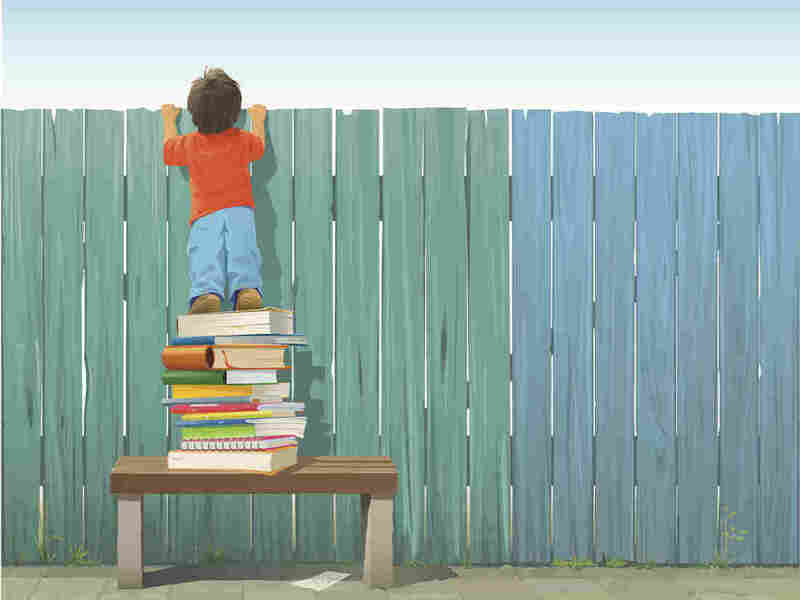 A study finds that one factor affecting the balance of negative and positive when it comes to curiosity is time, says psychologist Tania Lombrozo. Curiosity is a familiar feeling among people. But as soon as we scrutinize that feeling, curiosity reveals itself to be a complex emotion indeed. Just ask yourself: Is curiosity a positive feeling or a negative feeling? Is it more like frustration or more like anticipation? Is it a painful reminder of what we don't (yet) know, or a thrilling beacon towards what we might soon discover? Actually, curiosity can be all of these things — and more. Like lust, curiosity has positive and negative faces: one pointed (with happy anticipation!) towards what we desire, one pointed (with cruel frustration!) towards what we have not yet obtained — and may never obtain. But unlike lust, the object of curiosity's desire is information. Curiosity is all about learning what we do not (yet) know. Of course, not all feelings of curiosity are the same. Curiosity can be more or less pleasurable, more or less aggravating. So what accounts for this variation? Do some situations elicit more pleasurable forms of curiosity than others? Psychologists have been curious about this question, and their curiosity is starting to pay off. A paper by Marret Noordewier and Eric van Dijk, published in May in the journal Cognition and Emotion, reveals one of the factors that affects the balance of negative and positive when it comes curiosity. That factor is time. If you're curious to hear more, consider first what some theories of curiosity tell us about curiosity itself. One of the most prominent theories of curiosity, the information-gap model, suggests that curiosity arises when a person notices a gap in her knowledge. The gap induces a feeling of deficiency, which in turn motivates her to fill the gap. Like hunger or thirst, curiosity can thus be aversive; an emotional prod to obtain information. Perhaps the bigger or more consequential the gap, the more aversive the feeling. Other accounts of curiosity build in a distinction between its more negative and positive faces. On one view, curiosity comes in two flavors: deprivation — a strong but unsatisfied need to know — and interest — information-seeking that's motivated by anticipated pleasure. These two flavors reflect the changing balance of "wanting" (what we need) versus "liking" (what we enjoy). Once we recognize that curiosity has many faces — not all of them equally pleasurable — we can consider what affects the nature of our experience in a given case. The paper by Noordewier and van Dijk does just this for the dimension of time. The researchers ask: Is the experience of curiosity more likely to be positive when we anticipate that our curiosity will be satisfied sooner rather than later? Crucially, half the people were told they they would watch the video after a short delay of only one minute, and half were told that there would first be a 30-minute delay during which they would complete other interesting tasks. At the start of this delay, everyone indicated how curious they felt about the content of the video, as well as how much they felt negative feelings, such as discomfort, versus positive feelings, such as happiness. The key finding was that while both groups reported equal levels of curiosity, the curiosity was accompanied by more negative feelings for those participants facing a long versus a short delay. Moreover, these negative feelings weren't simply a consequence of learning about the additional 30-minutes worth of tasks — in two of the experiments, all volunteers expected the experiment to last the same amount of time, so what varied was only the order of the tasks, and hence the delay between learning about the video and getting to watch it. The researchers argue that these findings shed light on the two faces of curiosity. When our curiosity will not be satisfied anytime soon, we focus on not knowing, on the information gap itself, and this is largely aversive. But when our curiosity is on the verge of being satisfied, we focus on almost knowing, or the anticipated resolution, which is a more positive experience. On this view, the two faces of curiosity reflect different blends of not knowing versus almost knowing. Generalizing beyond psychology experiments to curiosity in science, we might expect the experience of curiosity to similarly depend upon whether we expect our curiosity to be satisfied at all. In science, we routinely encounter questions that might not be answered in our lifetimes, let alone in 30 minutes. Perhaps the culture of science helps buffer scientists from the aversive face of curiosity, or perhaps scientists are more likely to be people who experience curiosity as a positive motivator rather than an aversive prod. These are interesting questions for future research. For now, you can ask yourself how you fared with curiosity over a brief delay. Remember the video showing "something with different shades of brown"? Has not knowing what the video is about made you uneasy? Has knowing that you'll soon find out filled you with happy anticipation? As promised, the answer is this: The video featured Siberian Grizzly bears.